Sleek, modern chest, interpreted from a classic Danish, mid century Selig desing. Featuring five drawers, two, with a removable three section divider. Shown in black lacquer with gold leaf edges. 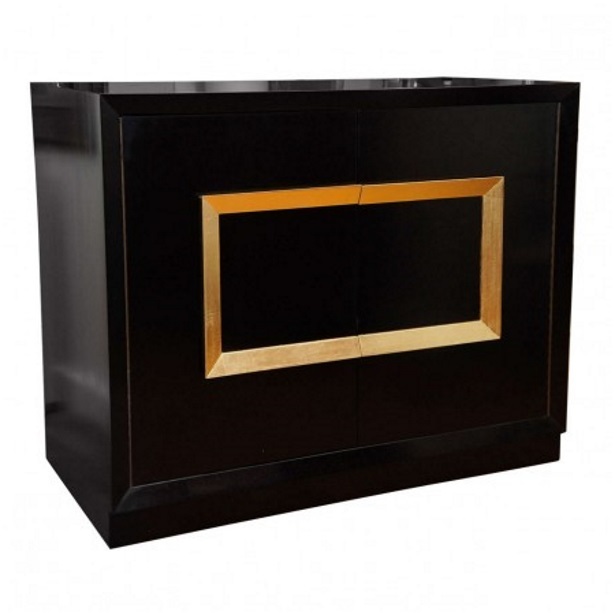 ALTERNATE FINISHES: Light Cerused Oak, Medium Mahogany, Black lacquer with Gold or Silver Leaf Edges.